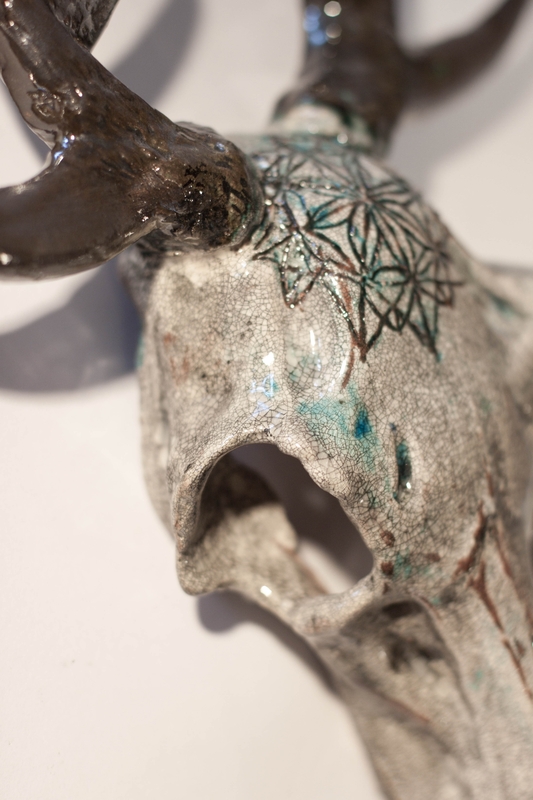 All ceramic work is unique, individually handcrafted and glazed in my workshop studio. Paintings are on oil on board. Having been diagnosed with Breast Cancer in December 2016, life has taken a different turn, as my work became an escape from the trauma of treatment and an outlet for my emotions. 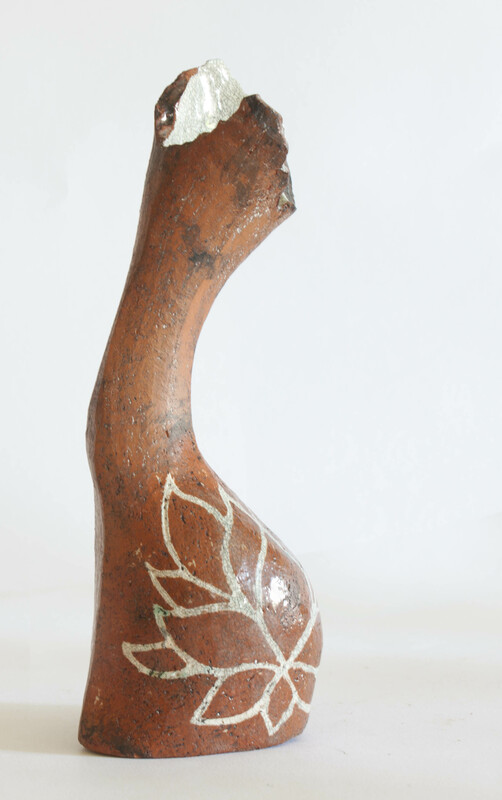 Here is a selection of new work, more, along with descriptions can be found in the gallery. All work is available for purchase. Oil paintings: During chemotherapy side effects brought on neuropathy and I was unable to work in clay. The backgrounds to these paintings are suggestive of cells and disrupted patterns. Each animal has a different meaning (please see Gallery). They are painted and layered in stages as oil is slow to dry. This technique was perfect as it enabled me to work slowly on them between treatments. The lyrics are from songs or poems that helped me through the darker days and inspired me to move forward. Hug series: One of the hardest aspects of going through Cancer has been seeing my children worry and lose some of their innocence. These sculptures are my response to needing to shield them from hurt. A mothering instinct to offer comfort and protect them from the horrors of the world. Vase series: I first created these small vases after recovering from chemotherapy, looking to produce small work that would be therapeutic and good for building the strength back up in my fingers. They are based on the female form. The combination of smooth and sharply angled areas are a reflection of how my body has changed since surgery and treatment. The lotus flower and mandalas engraved on each symbolise rebirth, starting over and self awareness. Strength skulls: These latest skulls are more decorative and include either lotus flower or mandala engravings, symbolising strength and courage. 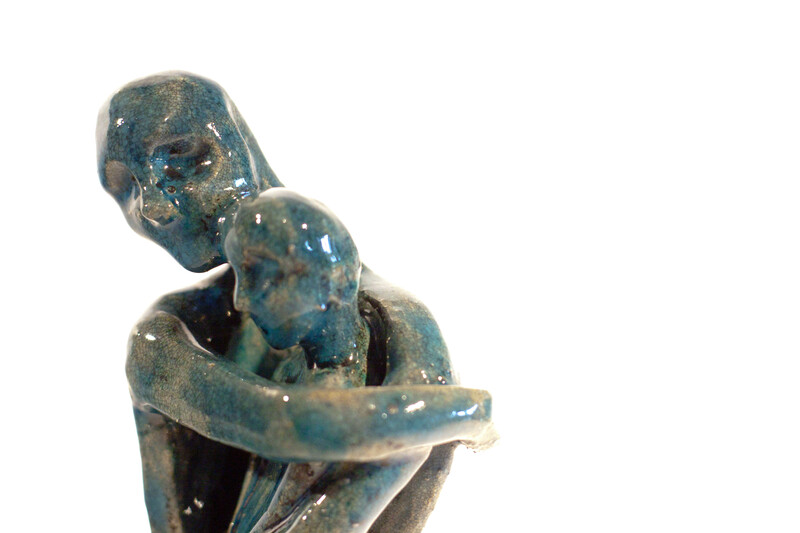 My love of ceramics dates back over 20 years. During this time I have completed a BTEC in Three-Dimensional Design and have a First Class Honours Degree in Ceramics from Cardiff. 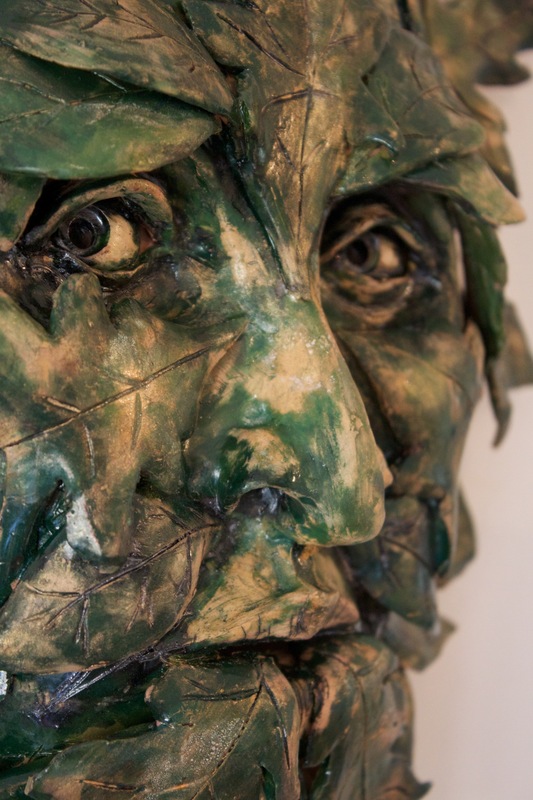 Professionally I have taught Art and Ceramics at Secondary level for over 16 years in Wales, New Zealand and England. Since returning to the UK in 2013 I have acquired the space for a studio, and am now back to creating my own work in addition to teaching Art part time at Ashford School in Ashford, Kent. Painting is a relatively new passion, inspired in part by the beautiful work produced by students in my school and fulfiling a need to continue being creative when I have been unable to do ceramic work. 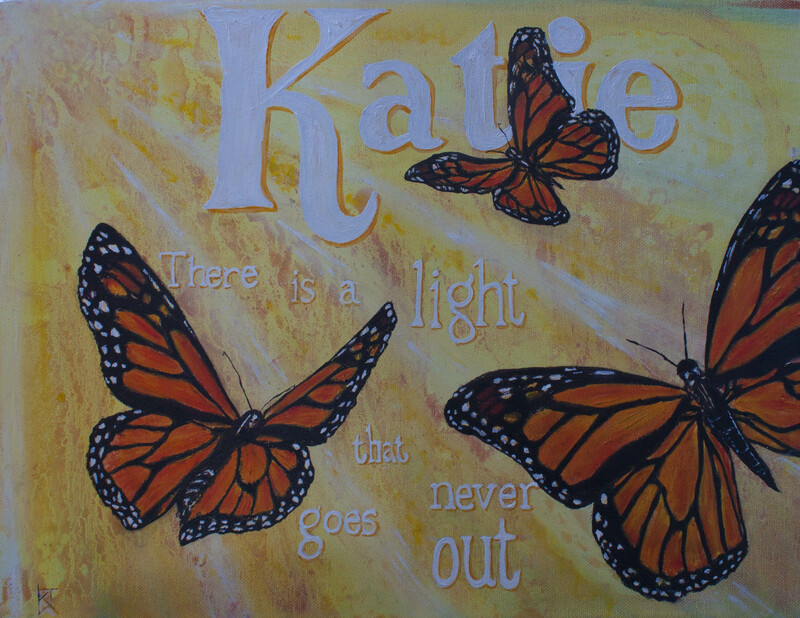 This painting was commissioned to commemorate the life of a special little girl who lost her life to Cancer. She had a love for butterflies and was a beacon of light and energy to those who loved her.